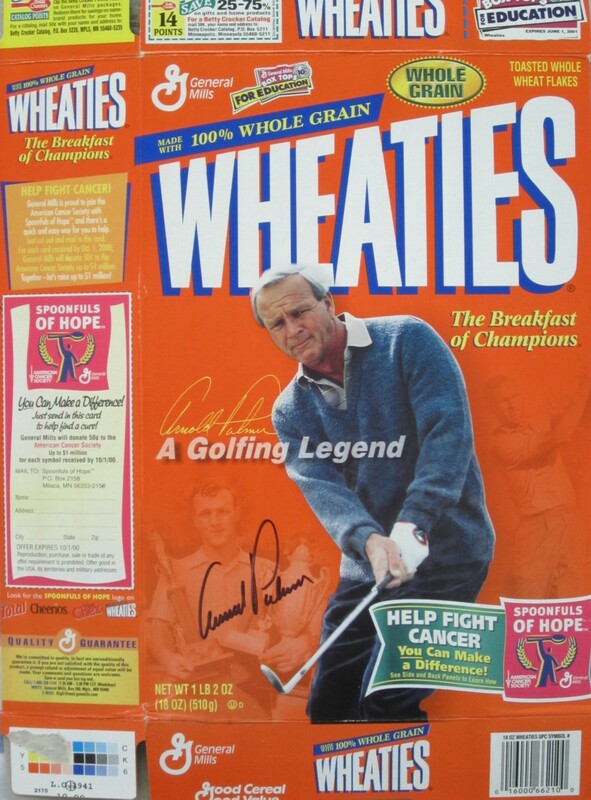 Arnold Palmer A Golfing Legends commemorative Wheaties box (folded flat), autographed in black marker by Palmer. 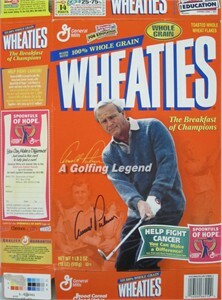 Obtained in person at the Bob Hope Chrysler Classic tournament many years ago. With certificate of authenticity from AutographsForSale.com.